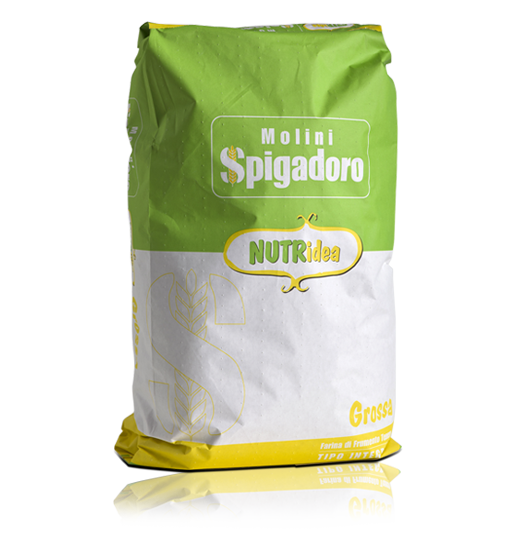 Molini Spigadoro has chosen to produce only 100% healthy, wholemeal flour from dehusked grain, guaranteeing what is most important: health and well-being. Industry professionals can safely choose the best wholemeal flour to meet their requirements in terms of processing and dough. Wholemeal wheat flour has been re-evaluated over the last few years because it is now associated with a healthy, correct diet. The myth of “the whiter the flour the better” has been replaced by the amber-coloured, fibre-packed version. White bread was once considered a symbol of opulence and financial well-being indicating social status. Dark, wholemeal bread was confined to the less well-off for whom white bread was off limits. White has always been promoted as a symbol of purity even in fairy tales. Remember Heidi’s white bread rolls that Peter’s blind grandmother wanted so much? They were produced in Frankfurt and Heidi kept them for days so she could take them back to the old lady in the mountains. Nowadays, food is all about taste, smell and above all, well-being in terms of being good for the mind and body. So, white is no longer the goal, but fibre and nutritional values instead. Consumers are choosing to eat healthy food and so, look for selected, controlled ingredients which they check for by carefully reading the labels. What are the differences between white and wholemeal flour? 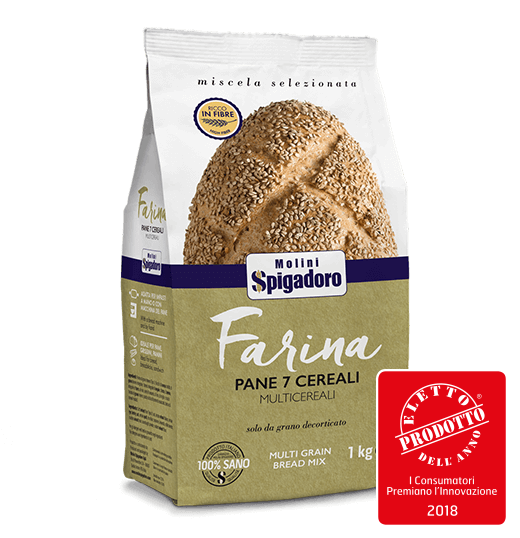 The outer bran layer, packed with fibre (12%), which not only covers and protects the grain, also contains a high concentration of vitamins and mineral salts. The fibre is important because it cannot be completely broken down and assimilated by our bodies, so plays a significant role in transporting nutritional substances. Endosperm (85%), the heart of the grain, lacks vitamins and mineral salts, but is rich in carbohydrates (starch) and protein which when mixed forms gluten, a substance which can hold up to 200% of its weight in water. When flour is kneaded, it allows the proteins to retain water and make the dough more elastic. The germ (3%) is the “nucleus of new life”; the part from which the new plant originates. 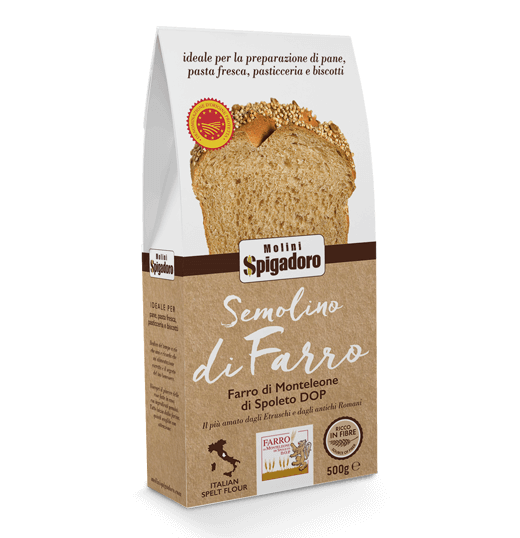 It contains a large number of enzymes, two important proteins, vitamins, mineral salts and an oil (tocopherol), rich in vitamin E.
Wholemeal or semi-wholemeal flour (types 1 and 2) preserve the bran layer and have a higher vitamin and mineral salt content compared to white flour. The high fibre content is also beneficial to bodily functions and the metabolism, making it a more nutritional food product. Naturally, not all wholemeal products are the same and not as healthy as each other. Remember it is the outer part of the grain, in the bran layers, where contaminants may possibly be present, so if the cereal and the production process are not safe and certified, the products made from it could conceal unpleasant surprises. Moreover, some wholemeal flours on the market are produced by adding bran or middlings to 00 flour. 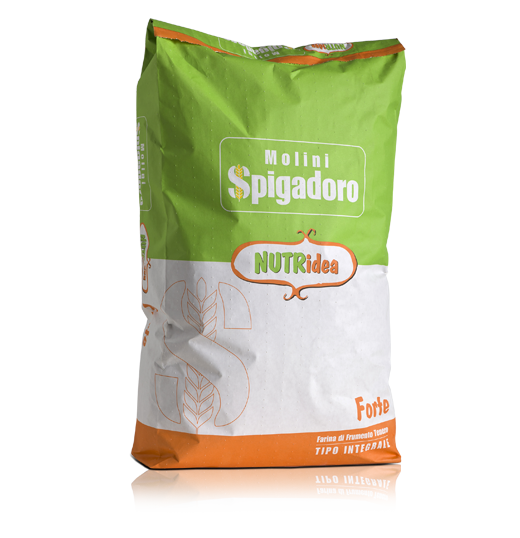 With the Molini Spigadoro Nutridea wholemeal flour range, consumers have the guarantee of a 100% healthy project because the grain selection and the special milling method eliminate any contaminants to bring you a wholemeal product with quality certification. 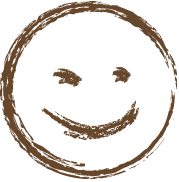 The company, in fact, has a dehusking system that is unique on the milling scene, which cleans and sanitises the grain before it is milled, eliminating the surface layers of bran. Without this costly process (which lowers the yield, increasing processing times and costs for the mill), the risk is that the residual contaminants from the outer part of the grain could be transferred to the flour. Wholemeal flours also have different characteristics based on technological parameters of strength and extensibility due to grain size and colour. 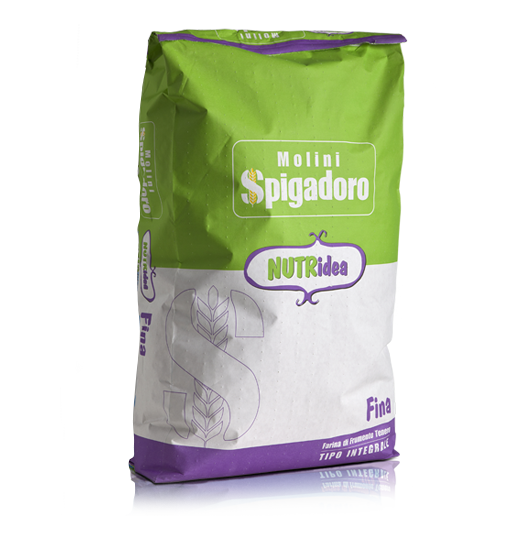 There is flour that is suitable for short and long preparation processes, short and long leavening times, with a finer or coarser grain size. Some are suitable for bread making while others for producing cakes and pizza.